Mr. Neligan has extensive experience in representing corporations in out-of-court restructurings, prepackaged bankruptcies, and chapter 11 reorganizations throughout the United States. Over the last twenty-one years, Mr. Neligan has represented creditors in major cases throughout the United States such as Enron and Global Crossing, and has represented numerous publicly traded companies in their chapter 11 reorganizations including Bayou Steel Corporation, Minorplanet Systems USA, Inc. Panaco, Inc., Bag ‘N Baggage, Avatex Corp., National Energy Group, Inc., McGinnis Hedge Fund, Braun’s Fashions, and Sunrise Energy Company. Since starting his firm, Mr. Neligan has also been involved in representing a significant number of privately owned businesses in their chapter 11 cases, such as Genesis Physicians’ Group, Hospitality Corporation, Regency Communications, Lillie Rubin Fashions, Inc., and NYS Entertainment, Inc. 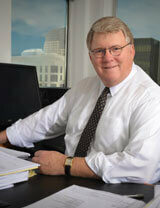 He has represented numerous unsecured creditors’ committees in chapter 11 cases throughout the United States. He has also represented chapter 11 trustees and chapter 7 trustees in major cases, such as Inverworld, Ltd. and Chartwell Healthcare, Inc.